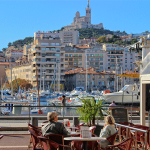 Discover the mouth-watering markets, captivating cuisine and wonderful wines of Provence when you experience the authentic ambiance of this most beautiful corner of France. Join a personally guided, bespoke, extraordinary and luxury small group tour that’s off the tourist track – and every bit as good as it sounds. You’ll be based in sensational Saint-Rémy-de-Provence, surrounded by lavender perfumed valleys in full bloom. The town is an intoxicating mix of ancient streets and picturesque squares shaded by ancient Plane trees. With elegant 17th and 18th century houses, quirky art galleries, tinkling fountains and authentic restaurants, it’s a place that has captured the hearts of visitors for centuries, including Van Gogh who produced more than 150 paintings of the area. 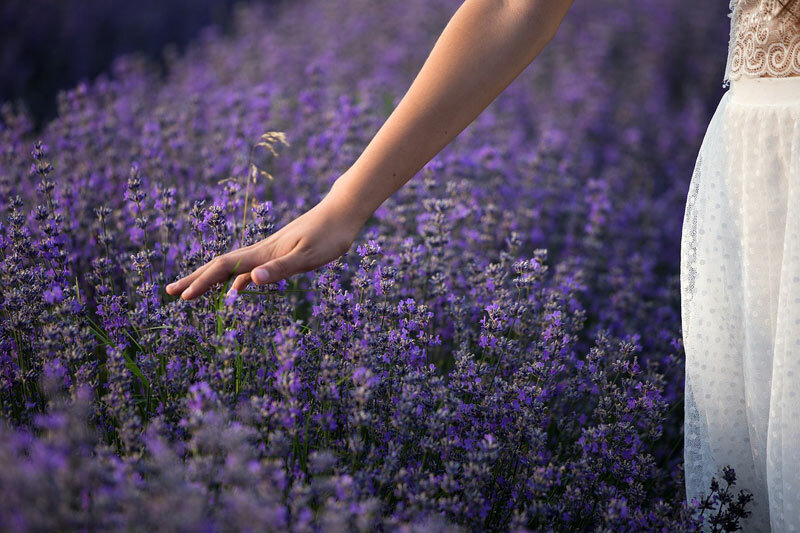 Discover the wonderful markets of Provence and enjoy meditation sessions with a renowned holistic therapist. 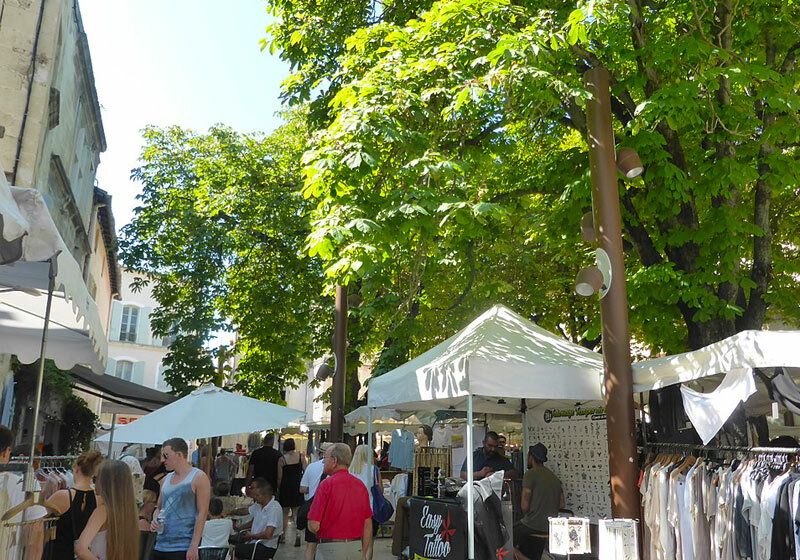 On market day in Saint-Rémy-de-Provence, your senses are filled with the sight and scents of exquisite produce. And it’s here that you’ll find Karen Stride from Sydney Australia, now a local who hosts bespoke tours for guests staying in her show-stoppingly lovely accommodation in the village. Once a visitor to Provence, Karen a former interior designer, fell in love with the faded turquoise shutters on an enchanting village house in Saint-Rémy-de-Provence. A passionate cook with Cordon Bleu training, Karen bought the house that captured her heart. She renovated it and opened Gourmet Escapades, the perfect introduction to this southern French paradise. With Karen’s specialist knowledge of Saint-Rémy-de-Provence and the local area, you will discover the secrets of Provence. 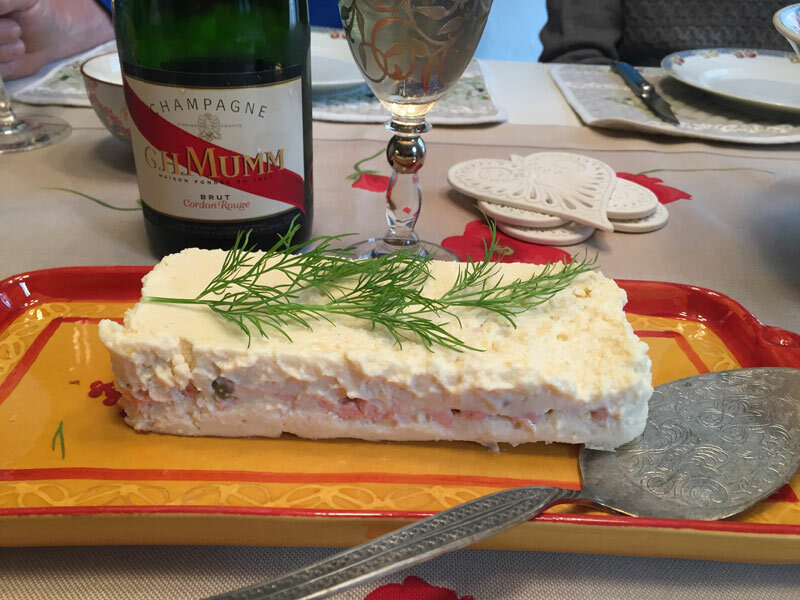 You’ll enjoy cookery lessons where you learn to cook local classics such as pissaladière. And, you’ll get to relish the most delicious tastes and wines of the area at the best and most authentic restaurants. 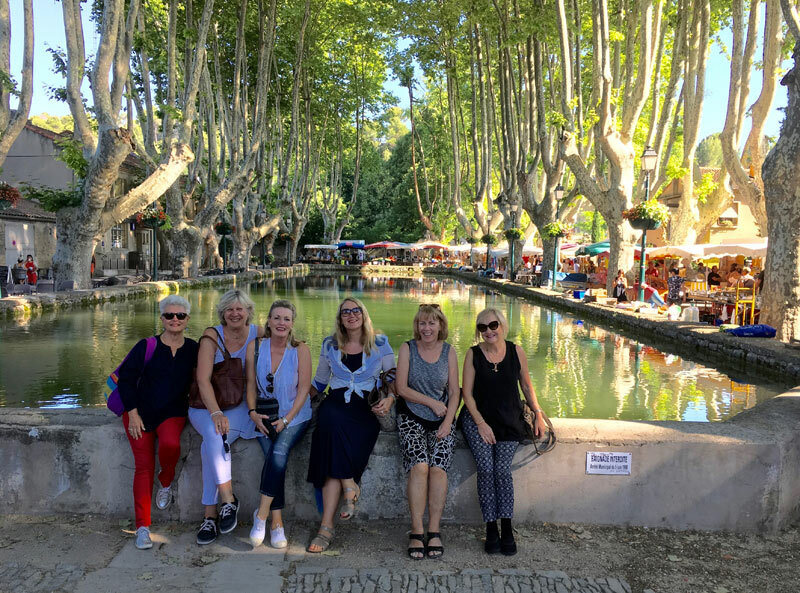 The tour includes visits to vineyards such as Châteauneuf-du-Pape (in a 13th century cellar) as well as stylish picnics in the most stunning locations. Transport is taken care of so just sit back and relax in comfort. You’ll visit gorgeous local village markets and stroll through fragrant lavender fields. You’ll discover the most beautiful perched villages of the Luberon valley, made famous by author Peter Mayle and the film “A Good Year”. 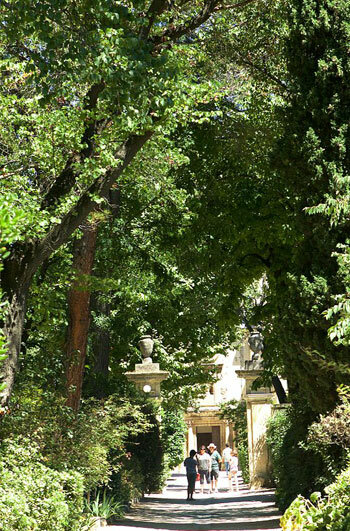 Follow in Van Gogh’s footsteps when you visit St Paul’s Mausoleum. Here the artist painted many of his most loved artworks. Wander the historic streets of Avignon, visit an olive mill and a traditional flea market. Prepare to be wowed by the incredible Carrières de Lumières sound and light show in an old Roman quarry. Join holistic therapist and meditation teacher Marilyn McMullen and experience superb meditation sessions. They take place in fabulous surroundings such as a lavender field and on a rooftop overlooking Saint-Rémy-de-Provence. They’ll definitely leave you feeling positive and refreshed. Be quick there are a few places left for the June Meditation and Markets Escapade. Your luxurious accommodation will be in either the 14th century L’Appartement des Anges (the apartment of angels). It was once the presbytery, built at the time when the Popes were in Avignon. 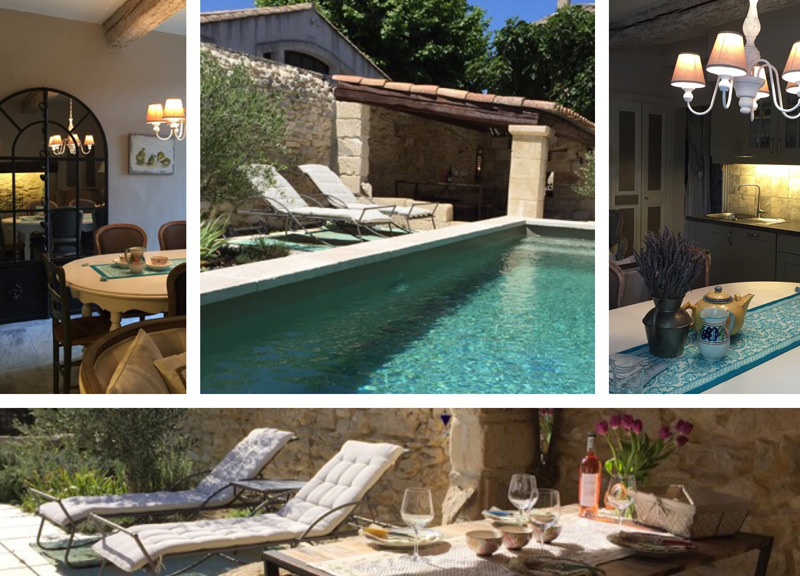 Or you’ll stay at La Maison des Cœurs (the House of Hearts) Karen’s charming 19th century village house just a short stroll away where you’ll be able to cool off in the pool after each day’s escapade.